NOW Foods has so many amazing products- it is a brand that I have personally enjoyed for years. It was an easy decision to make when I was invited to become a Now Wellness Ambassador- the best part is sharing their incredible products with you! 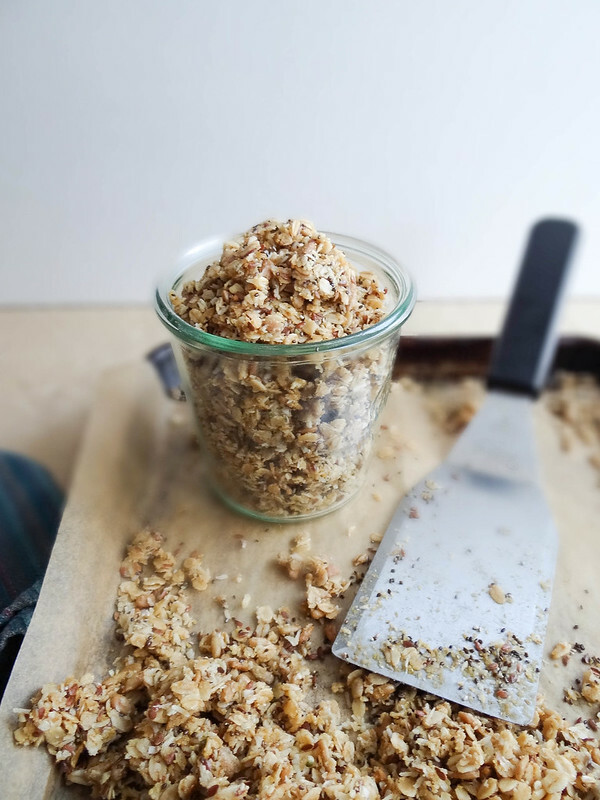 Simple is the word best to describe this granola. Golden flax meal, rolled oats, sunflower seeds, triple omega seed mix (my all time favorite product from NOW Foods) and unsweetened shredded coconut- all organic + non GMO. 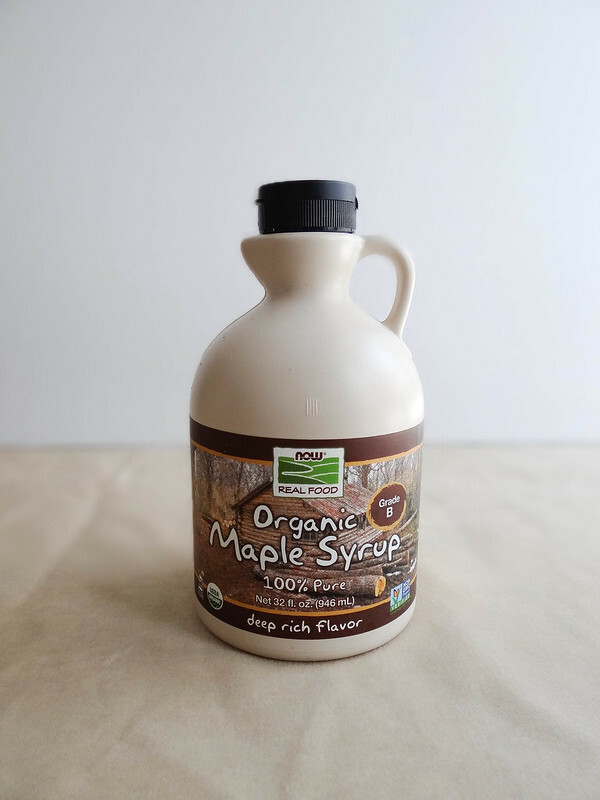 Oh and maple syrup- in my last post with maple syrup I told you my love for all things pure maple syrup // grade b is the best, no really it is. 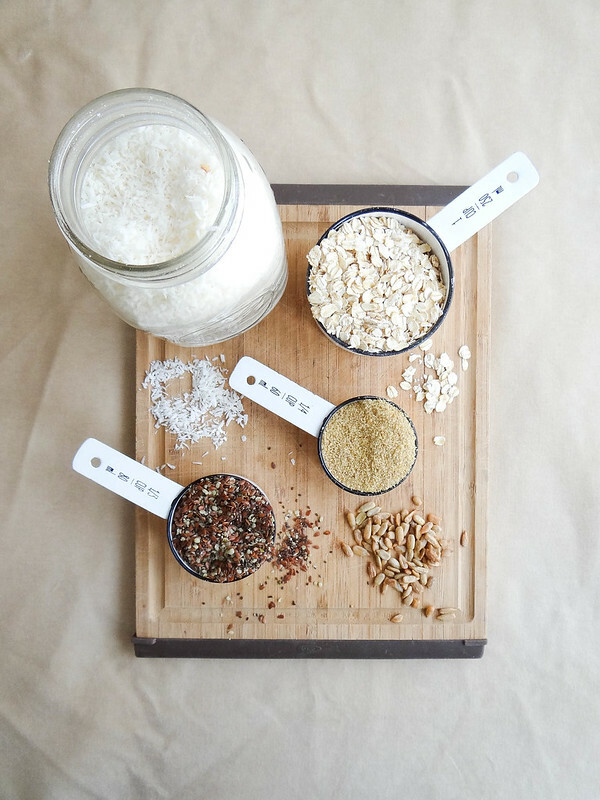 Top your smoothies bowl or yogurt with this granola or pour some in a bowl with almond milk and enjoy! NOW Real Foods is offering 1 lucky reader a bundle of ingredients to help make this recipe happen in your very own Kitchen! 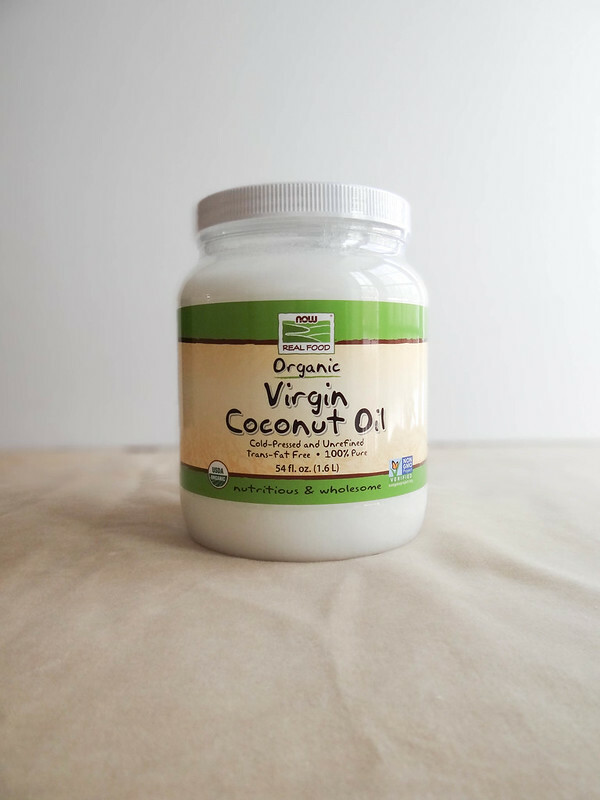 In a small sauce pan over medium heat combine maple syrup & coconut oil - heat until coconut oil has melted. Alternatively melt in microwave in 30 second intervals until melted. Combine oats , flax, seeds, sunflower seeds and coconut in a medium mixing bowl, toss to combine. Pour melted maple syrup and coconut oil mixture over the dry ingredients and stir until all dry ingredients are well coated. Line a large rimmed baking sheet with parchment paper. 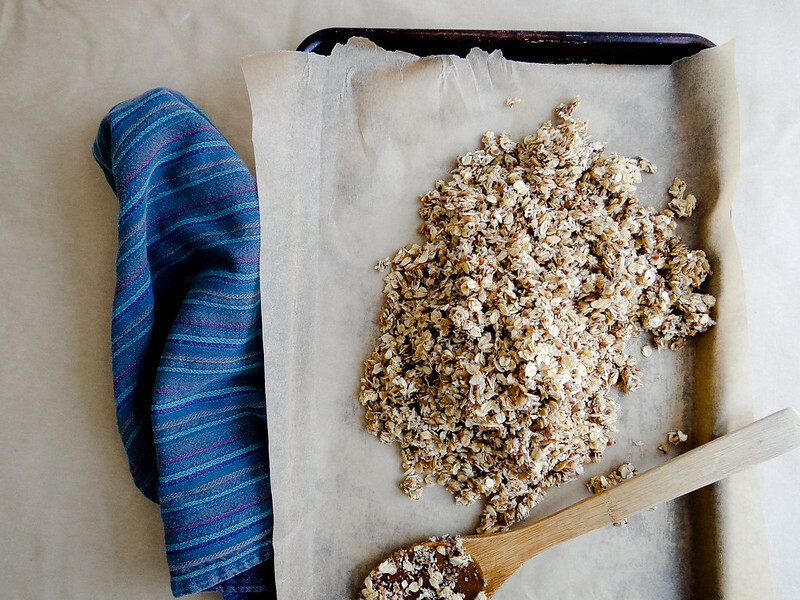 Spread granola mixture evenly onto the baking pan. Bake for 30 minutes, stopping to stir the granola at the 20 minute mark. Remove granola from oven, while the granola is hot from the oven press the granola firmly down into the pan with the back of a spatula. 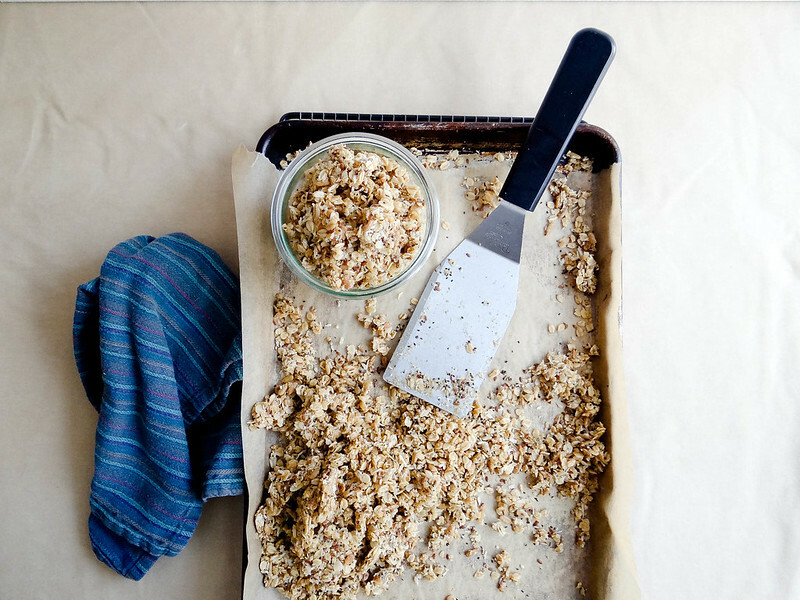 Allow granola to fully cool on the baking sheet. Store in an airtight container - I like to use mason jars but any container will work. This granola sounds delicious! I have to say that my go-to breakfast is tea and toast, but with some of this on my shelf, I could see granola becoming a real contender. :) Thanks for the giveaway opportunity! I love oatmeal for breakfast with added dried cranberries! I like cold cereal with cashew milk. 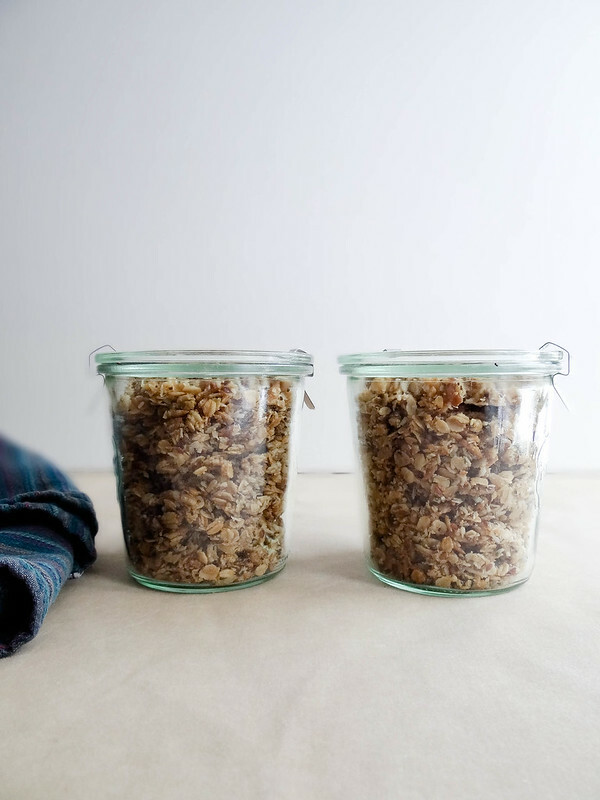 Granola is the easiest thing, and so much better made at home rather than purchased! I haven't tried their seed mix before, but that would be awesome to have on hand, as opposed to all the individual baggies. I would totally eat more flax seeds if they were mixed in with chia and hemp, haha! My go to breakfast is either eggs with either fruit or veggies on the side or steel cut oats with milk and maple syrup. This looks so good. I will be making this for my family!